EOB: Waterdeep Sewers is attempt to complete recreation (remake) of first Eye of the Beholder game (1990, Westwood/SSI) as Grimrock Total Connversion mod. 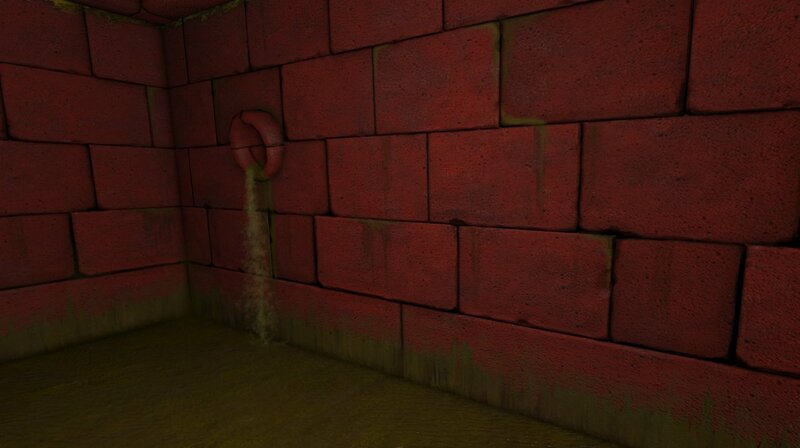 I start with completely new wallset and objects textures (stil in progress) for first 3 sewer levels. All skilled modellers, graphics artists, testers, EOB experts (like me ) are welcome! Post your comments here. Last edited by djoldgames on Mon Jan 28, 2013 1:41 pm, edited 8 times in total. Very nice! I like this level. Please continue your recreation of EoB! - The "this rune is not recognised" messages are actually text that the party can read if they have a gnome on board. This is a flaw or not depending on how you see your standard party. - The decision on what path that opens up (at door 2&3) seems to be taken at the wrong point in time. This also depends which version you are emulating as the Dos and Amiga version have a different trigger point. 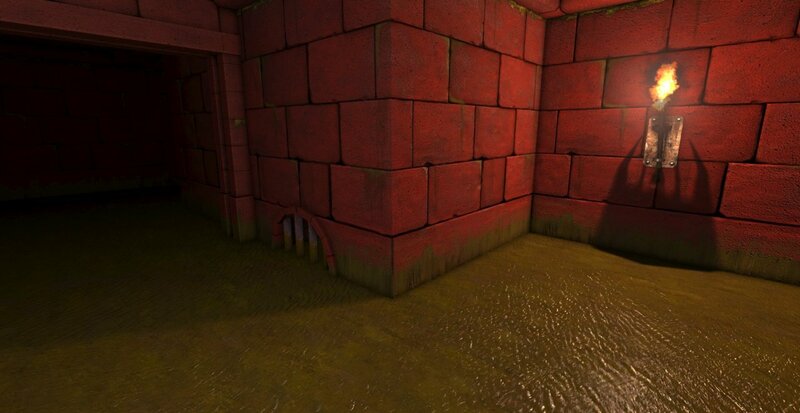 I test the simple EOB wall textures, placed on the antti's example dungeon wall and ceiling model, by defining new wallset, and changing some materials (dif, spec and normal maps). 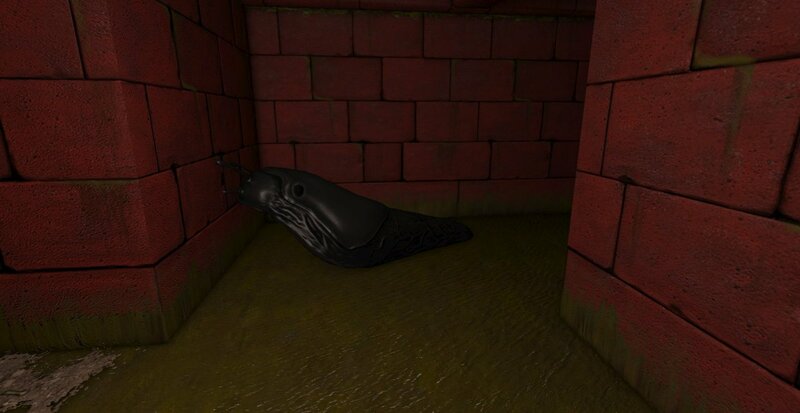 I think it'll feel more like EOB once we get Kobolds in those sewers! It is great to see this work. It put me instantly in severe nostalgia, so I started playing the original EOB I'm playing it the proper way - with grid paper, pencil and map drawing. I've just completed the first level and compared my map with your dungeon. You got almost everything right! The only minor mistake I've spotted is marked (N) on the image below. There's one wall that shouldn't be there. 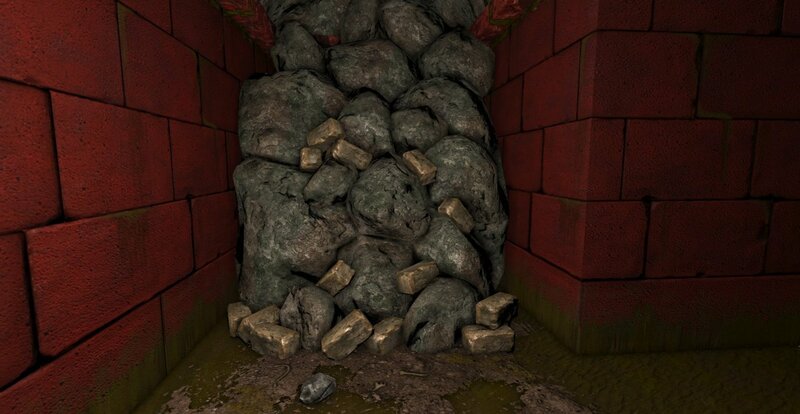 The new high res textures look great. I definitely plan to test next levels as soon as they become available.